It’s Not Just a Job! It’s Unexpected, But we make it look brand new all over again. When it comes to Hail storm damage we got you covered. Excellent technician,He is a master in dent removal and like a doctor in cosmetic surgery on your vehicle a true professional.He has done work on previous vehicle such as an ifiniti which came out flawless and recently a chevy silverado,He is truely the best from all the rest thanks again Jessie. 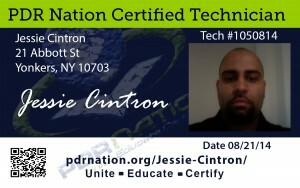 Jessie is an amazing technician. You definitely don’t want to miss the opportunity to have him on your team. You can give Jessie the ugliest car in the shop and he will accept the job with a smile. Great attitude and a ton of ability. It was my pleasure to have him on my team and I hope to again. I recommend him to anyone.